Whenever people think of the Highlander series, one particular weapon comes to mind, the sword. Immortals are only immortal as long as they've got a good head on their shoulders, and the favored way of making that such not the case is via a length of sharpened steel. 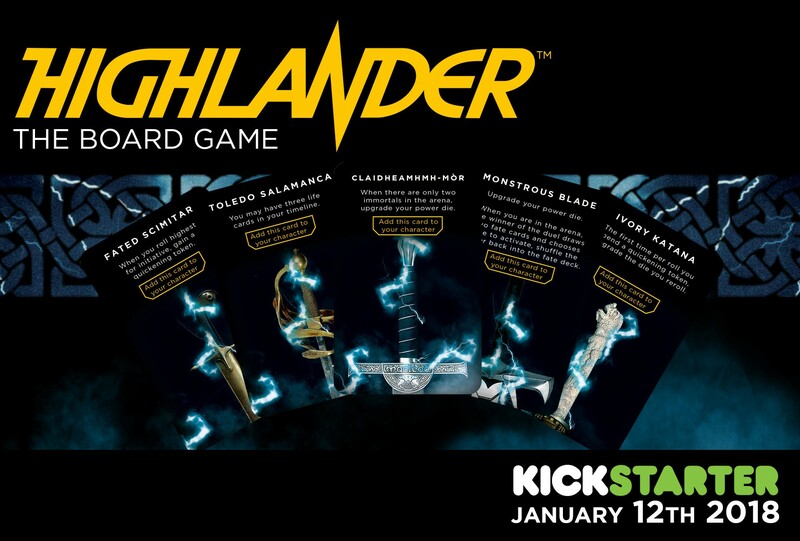 Of course, each Immortal prefers a particular kind of sword, and so you've got plenty to choose from in the upcoming Highlander board game from River Horse. Check out a bit about how they'll work below. Highlander would not be complete without swords. Each weapon in Highlander is unique, and slots onto your character sheet, giving you special abilities. These abilities help you either directly or indirectly during your duels. For your best chance of winning duels, make sure you grab your weapon!